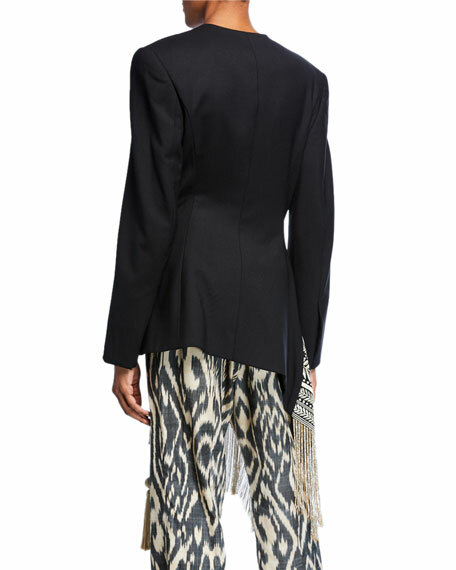 Oscar de la Renta blazer in bi-stretch wool gabardine, featuring embroidered hem. 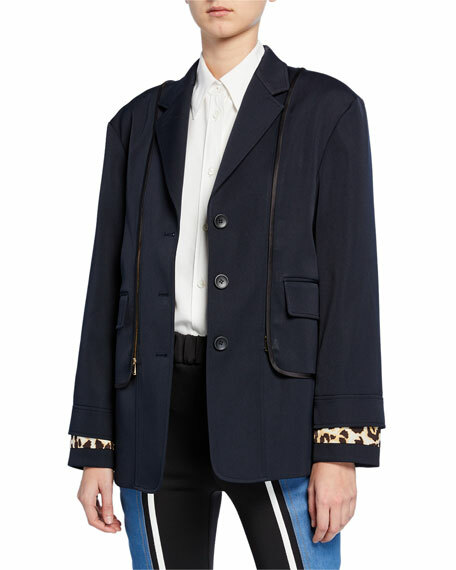 BESFXXK blazer in twill featuring removable layer, revealing satin leopard print combo. Notched lapel; three-button front. Long sleeves; tiered cuffs. Hip flap detail. Satin bodice seams. Relaxed fit. Cutaway hem. Silk/polyester. Imported. 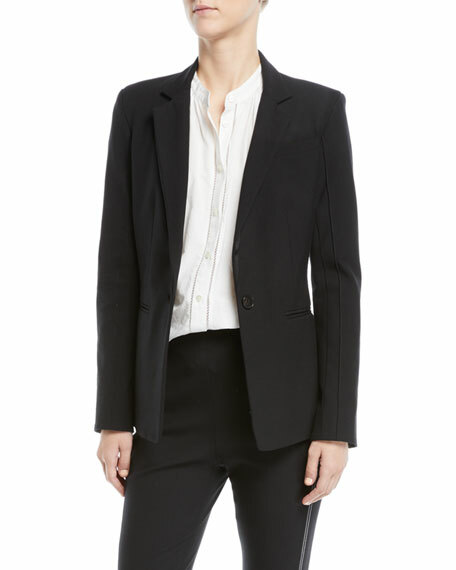 Gabriela Hearst "Serge" blazer in silk-wool twill. Peak lapel with cultured freshwater pearl embellishment on revers. Strong shoulders. One-button front. Hip flap pockets. Semi-fitted. Cutaway hem. Made in Italy. 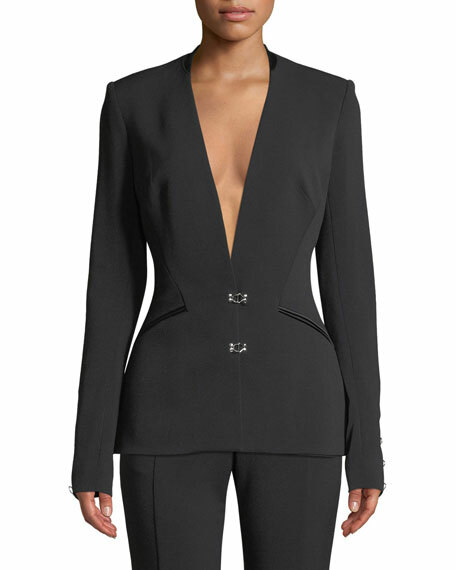 Jonathan Simkhai basque blazer in compact stretch wool. Plunging V neckline; hook front. Long sleeves; hook closures. Front besom pockets. Formfitting silhouette. Vented back. Viscose/nylon/wool/spandex. Made in USA of imported material.